You can join PayPal today and get a $5 cash bonus reward after your first purchase or money transfer with your new PayPal account. PayPal is a free service that lets you securely send money to other users and safely check out when shopping at thousands of participating merchants. Just sign up for PayPal, send money or check out with PayPal, and get a $5 bonus credited to your account. There has been a PayPal Prepaid Card $5 Bonus available for a while, but this is a rare $5 bonus for opening a standard PayPal account. It’s extremely easy to earn this $5 PayPal bonus, as you just have to create a free account and send money or check out with PayPal before March 13th. This would possibly be one of the easiest and best small bonuses ever, if so many people did not already have PayPal accounts. However, if you’re not one of the 173 million people who already have a PayPal account, then this is a pretty awesome opportunity to get a $5 bonus for opening one today. 1. Visit this Promotional Link that I found in a Google search results advertisement on 4/8/2016. 2. Sign up for a free PayPal account with an email address and password to get started. 3. Link your bank account, debit card, or credit card to your PayPal account. 4. Use PayPal to send money or check out before March 13th. 5. PayPal will credit a $5 cash bonus to your account. The only real issue that bothers me about this promotion is that they indicate that your first purchase or checkout must be made by “3/13,” and they don’t specifically indicate the year as “2016” otherwise. I can’t imagine this is an old promotion that already expired, since it’s being advertised now and I’ve never seen it before, but I sure wish they would update this to include the year as well. I do fully believe that this offer is actively available as long as the promotional page is displaying the $5 bonus details, as the $5 details show up throughout the account sign-up process as well. You will receive a $5 discount on your next purchase when you use PayPal and spend the minimum purchase amount at participating stores. This offer is valid at participating stores from 12:01 AM EST on the start date through 11:59 PM EST on the expiration date stated on the offer. The $5 discount will be applied to merchandise after sales tax has been added and will be reflected on your PayPal receipt and in the transaction details of your PayPal account. 1. Open a new personal U.S. PayPal account. 2. View the offer ad or banner on PayPal.com. 3. Save the offer to your PayPal account, by clicking on the link during the sign-up flow. 4. Make a purchase at a participating store and pay with PayPal at the register or online checkout no later than 11:59 PM EST on the expiration date. The offer excludes gift certificate payments, gift card purchases, and PayPal Extras MasterCard/eBay MasterCard payments not made through your PayPal account. 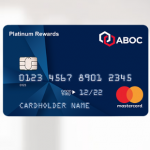 If you seek a full refund for a purchase that applied the offer, the full refund amount will be provided subject to the merchant’s refund policy. If a partial refund is provided, you will receive the partial refund amount minus the offer value. This offer is valid in the continental U.S. and cannot be combined with any other coupon, offer, discount, or promotion code and may not be redeemed for cash. Please note that the promotional details outlined above are taken from the “Terms & Conditions” page for this offer, but they do not seem to specifically match the advertising text on the promotional page itself. For instance, the promo page indicates that you can qualify for the $5 bonus when you “send money or check out,” while the terms and conditions only seem to mention earning the bonus when you check out with PayPal. 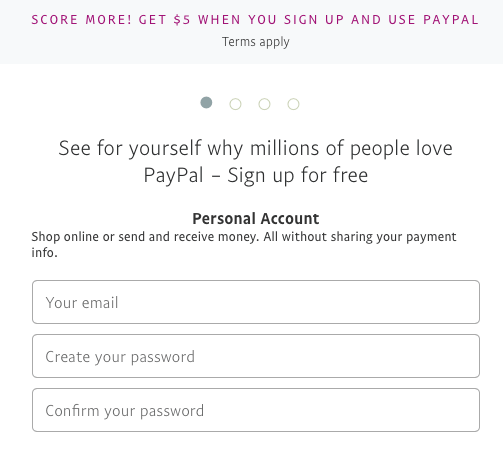 The promo page also indicates that PayPal will “credit $5 to your account,” but the terms and conditions indicate that you’ll receive a $5 discount off your next PayPal checkout purchase, and not necessarily that you will get a $5 credit, which you could then transfer to your linked bank account if you wanted or send to a friend. 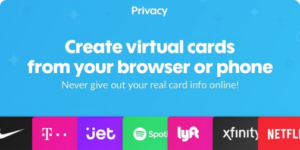 I don’t know if these discrepancies are just because they used a generalized terms and conditions page, but I just wanted to point out that they exist for you to be aware of them. Either way, you should get a $5 bonus credit that you can use through PayPal in some manner. You may also wish to try this Square Cash App $5 Bonus for another free way to send money to friends and family. Won’t let me activate offer.